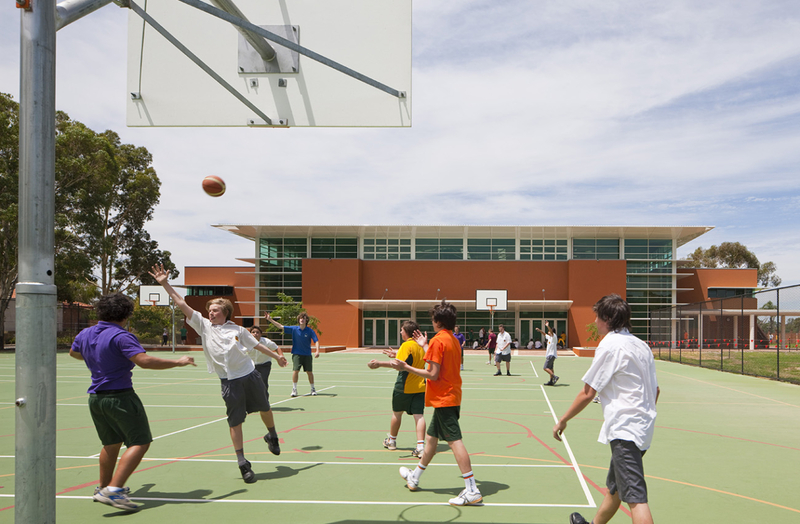 The new gymnasium at La Salle College in Middle Swan, Western Australia, is located adjacent to the existing hard courts and oval and accommodates a new two full sized court gymnasium, change rooms, classrooms, store rooms and teacher prep areas. 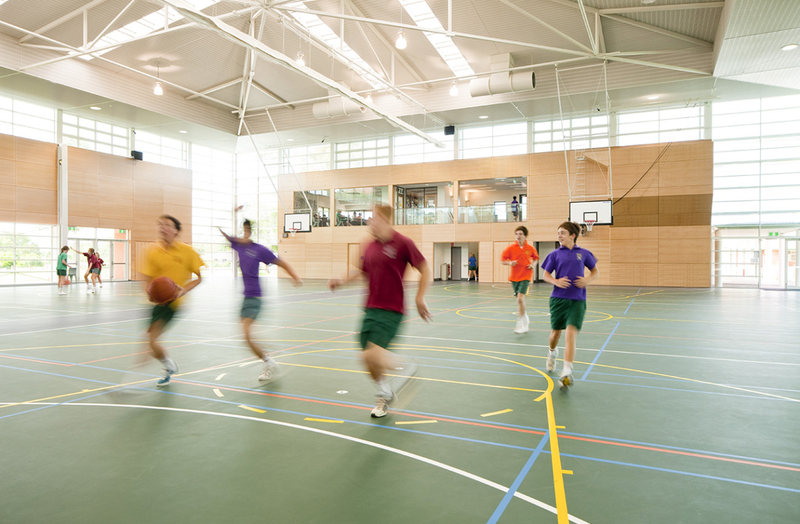 The sports hall opens out and flows directly to the external hard courts on one side and to the oval on the other. 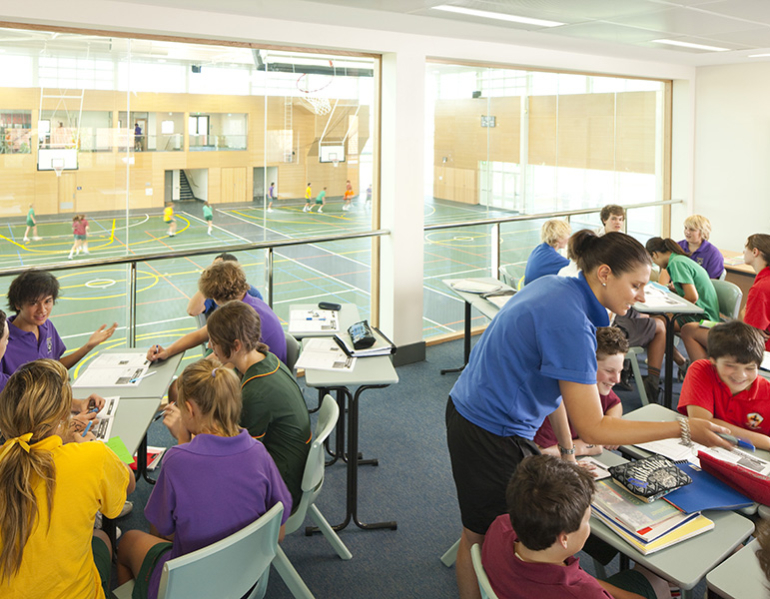 The building also functions as a hall for school assemblies and a multitude of other school functions. The building is designed to be calm, friendly and inspiring in a flexible, naturally lit and naturally ventilated space. 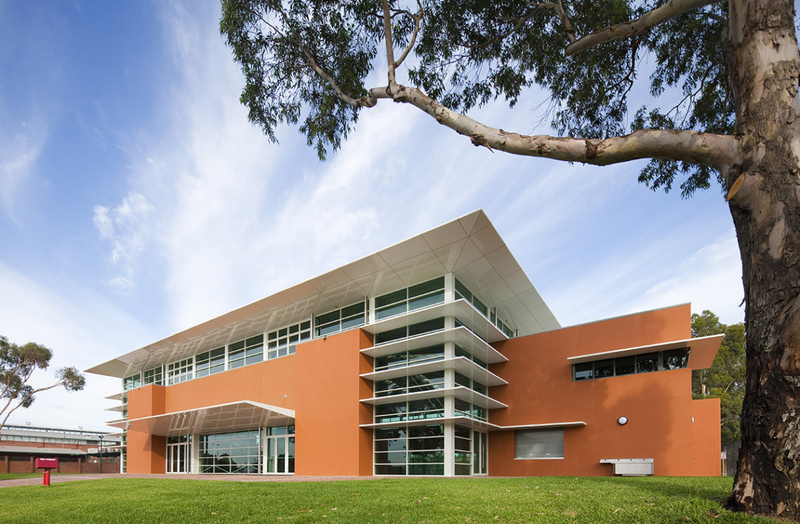 Large vertical lift doors, high level and corner windows, louvers, overhanging roofs and cantilevering sunshades are provided to keep the building cool and control glare. 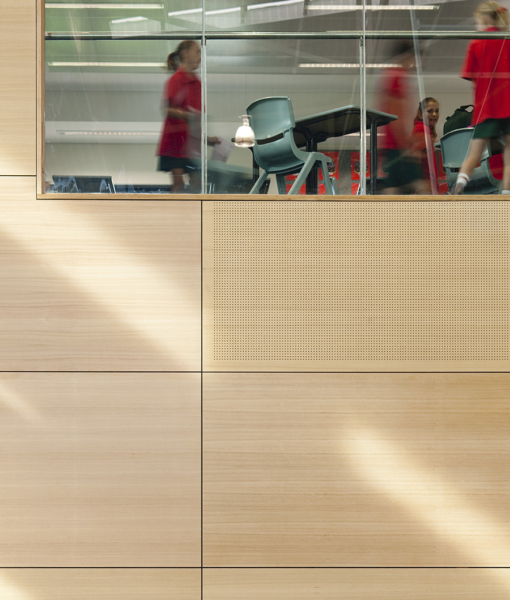 Insulated metal acoustic ceilings and perforated ply wall panels are robust materials that are appropriate for this high impact environment while also providing thermal and acoustic comfort. 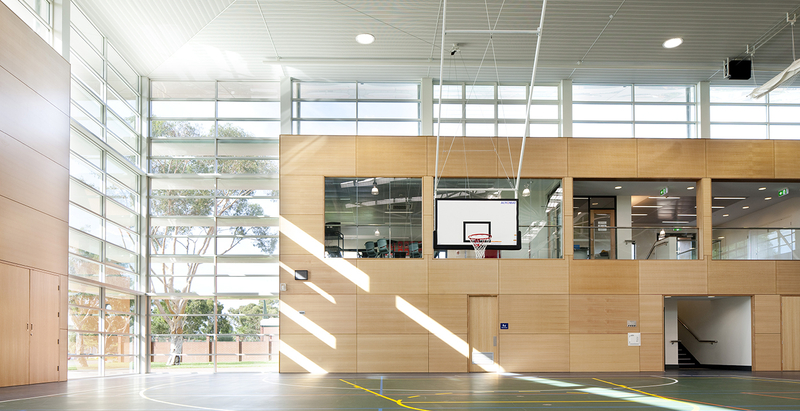 Large glazed windows provide a visual link between sports and health education learning areas and the playing areas. 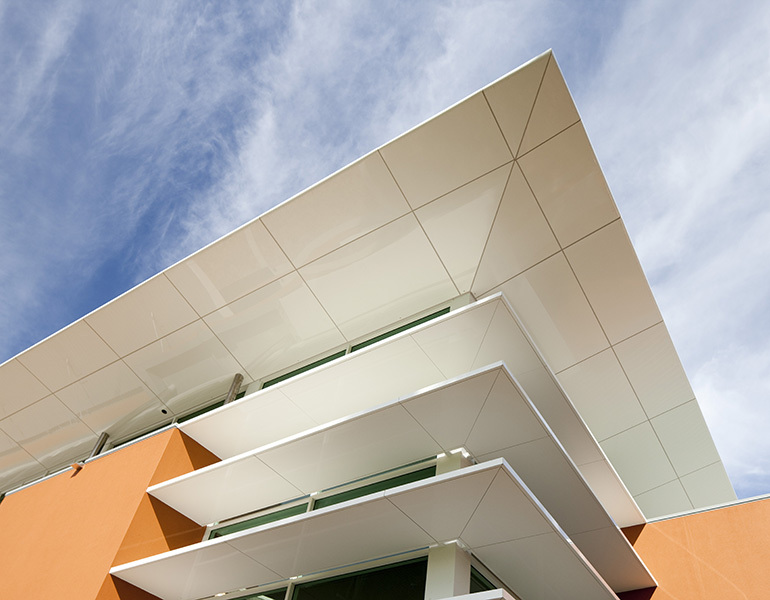 The materials and colours selected complement the older school building fabric and the school colours. A similar colour palette harmonises with the brick walls and terracotta clay roof tiles predominant in the surrounding Midland area. The white framed, green tinted windows reference the white and green trim used throughout the school for windows, barges and doors. 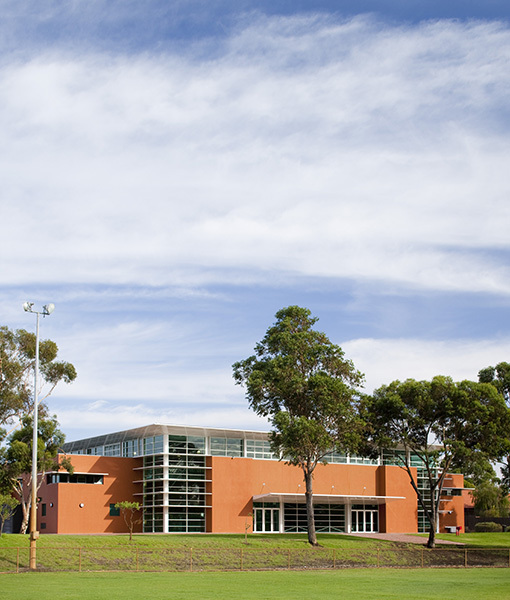 This project was the recipient of the 2010 Australian Institute of Architects Commendation for Public Architecture.